Group Classes, and Custom Classes for Individuals. Finding Your Intuitive Chef: How to enjoy yourself as a creator, and explorer. We use hands on cooking techniques and mental strategies to get to the root of creating without fear. Can be applied to life outside of the kitchen 🙂 $40 per student, plus the cost of food. Vegetarian Appetizers That Invite All Guests. Recently, a client looked over my vegetarian appetizers list and told me that he needed to see my other appetizer lists “because his appetizers needed to count.” Naturally, I understood his request. A carrot with a piped topping and a bit of fresh herb isn’t going to have the same impact as beef tenderloin and cooked shrimp. Or is it? Request my class syllabus, and you be the judge. $35 per student, plus the cost of food. Smaller class sizes allow me to to give each person feedback and encouragement, and to help each person to better see her gifts. Class Prices: Group Classes are $35 – $45 per guest. Plus the cost of food – ranging generally in the $40 – $60 window (total) – depending upon your requests. Minimum class price is $140 plus the cost of food. Class Prices for an individual are $75 per hour, plus the cost of food. Some clients might like to combine a class with a trip to the grocery store or farmers market. Individual classes are customized for you, and you may select a topic of your own interest. Time at the grocery store is priced at $40 for 1 and 1/2 hours. Or $50 for two hours. If you’re new to cooking – suggested reading: Learning to Cook with Marion Cunningham (author of the Fanny Farmer Cookbook). Notes: Classes are two hours plus and include eating along the way, or a meal at the end. Or take-home samples if we want to keep class time to a minimum. There is also a set-up time at your home which is about an hour for some classes. Plus clean-up time. I bring my own equipment, unless we make other arrangements. Class pricing reflects my professional background, and teaching ability. Classes might also take place at my house, depending upon the season. 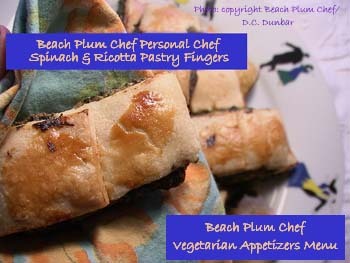 Original content belonging to Beach Plum Chef of Cape Cod. Please do not reproduce without permission.